The second shooting at Fort Hood in less than five years brings with it a likely renewal of public debates throughout the country on the tangle of issues seemingly in play: the apparent insecurity at our nation’s military bases; the physical but especially emotional toll that years of war have taken on our military personnel; the state of the country's mental health system for citizens and soldiers alike; and, inevitably, a renewed discussion about gun control. But the term “gun control” actually assumes too much. To the extent that we see a renewed discussion of gun control in Texas, attitudes toward guns here strongly suggest that any discussion will almost certainly be dominated by talk of increasing access to guns, not curtailing it. When confronted with the horrors of mass shootings, most Texans appear likely to embrace self-defense over tightening controls on access to guns. In the February 2013 University of Texas/Texas Tribune poll, in the wake of the shooting at Sandy Hook Elementary School, we asked Texas voters an exhaustive set of questions about their attitudes toward gun control. A slight majority of Texans – 52 percent – said that gun control laws should either be left as they are now or made less strict. The importance of Republican attitudes in a state long dominated by a single party can’t be understated, and on gun control, Republicans overwhelmingly said that laws should be left as they are now (58 percent) or made less strict (26 percent). No doubt, the structure of this attitude reflects Texans’ feelings on the effectiveness of gun control laws. A majority of Texans (56 percent) also said that stricter gun control laws would either do “not much” (12 percent) or “nothing at all” (44 percent) to help prevent gun violence. Among Republicans, 13 percent said that gun control laws wouldn’t do much, and a whopping 74 percent said that they would do nothing at all. Taken together, more than 80 percent of the voters in the state’s dominant party think that gun control laws should be left untouched or made less strict, and seriously question the effectiveness of gun control laws in the first place. Indeed, it’s common to hear voices on Texas’ right question whether the solution to gun violence isn’t fewer guns but more. The public, especially the Republican electorate, appears to agree with this proposition. Four months later, in June 2013, we asked Texans about an oft-repeated legislative proposal that would allow individuals to carry concealed handguns on college campuses – where, like military bases, it is currently prohibited. While only 46 percent of Texans supported an expansion of “campus carry,” 76 percent of Republican voters supported the proposal. Among Tea Party Republicans, crucial in primary elections in Texas, that support jumped to 89 percent. Amid reports that the suspected shooter in the latest Fort Hood incident may have been experiencing mental health problems, we did find some tolerance for the regulation of gun ownership if it involved background checks for a history of mental illness (or criminal records). Gun rights advocates nationally have focused their attention on addressing mental health as an alternative to gun control. 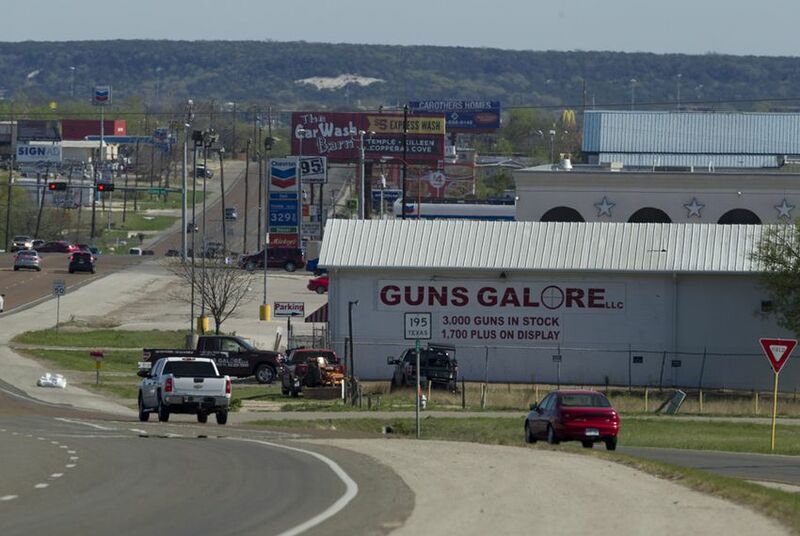 As the country grapples with another tragedy and considers potential ways in which it might curtail, if not eliminate, future occurrences, public opinion in Texas will likely be attuned to voices calling for loosening restrictions on carrying personal weapons on military bases. Outgoing Texas Congressman (and one-time erratic U.S. Senate candidate) Steve Stockman was early out of the barrel with such a proposal after the September shootings in a Navy Yard building in Washington, D.C., and was quick to blame this week’s shootings on gun control. This approach is likely to resonate with a large chunk of Texas voters and provide more ammunition to advocates of expanded gun rights when the Legislature reconvenes in 2015.